With prices of solar installations reducing, production efficiency increasing and more and more aesthetically options to choose solar panels are on the rise in Sweden. 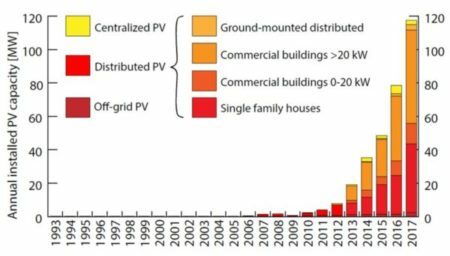 The number of homeowners and companies which equip suitable surface areas with photovoltaic systems is steadily growing. More and more homeowners decide to invest in a solar installation. Sweden has sufficient sun exposure to generate renewable energy with solar installations. Investment costs of a solar installation are usually retrieved by state subsidiaries, savings in energy costs and selling surplus electricity within less than 15 years. Considering that manufacturers offer usually a 25-year performance guarantee on solar panels, installed systems provide free electricity after writing off the investment. Our spin-off company Checkwatt offers solutions and services for measuring and visualising electricity production from solar energy, and trading with energy certificates. Checkwatt is proud to announce to register the 2000th customer this month. Since 2007 the number and capacity of Photo Voltaic installations in Sweden has significantly increased. Declining prices of photovoltaic equipment, as well as the introduction of the direct capital subsidy system in 2006 and a revision in 2009, make photovoltaic installations competitive. The number of roof-mounted systems installed by private persons or companies built on self-consumption business models has steadily increased and reached a new record in 2017. Checkwatt, which is a spin-off company from CNet, provides complete solutions in energy production and energy consumption for both private and corporate customers has also significantly increased its market share. By combining electricity meters, electricity certificate meters and user-friendly visualization, Checkwatt helps its customers to keep track of the entire energy production chain and supports the certification of energy produced and fed into the grid. Checkwatt is proud to announce to have reached 1.600 finished system installations today. There are four global megatrends that shape the energy sector: climate change and resource efficiency; urbanisation; new technologies and digitalisation; and active customers. These megatrends will bring profound changes not only to how energy is produced and sold to customers, but also to how it is consumed in our daily lives. Fortum is now looking for novel AI-assisted services for customers’ homes and have organised a hackathon challenge AI Comes Home. CNet has been selected as one of the finalists for this hackathon that will take place 7-8 December. We will participate with a intelligent digital assistant that combines both video and voice input to guide consumers in living a more sustainable life. – A platform for improved building energy efficiency. Our Solar Energy app marketed by the EnergyInBalance service has now reached 500 users with solar energy installations. 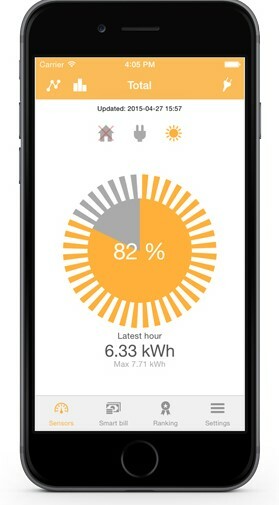 The Solar Energy app uses Internet of Things technology to measure the ongoing energy production from a solar panel installation. 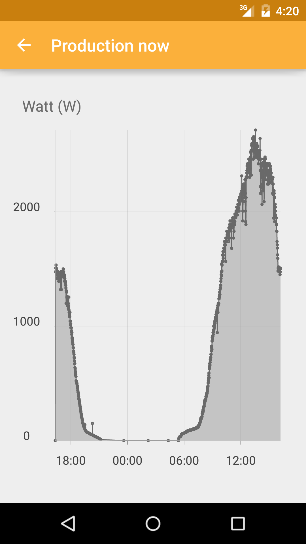 The solar energy production is visualised in realtime in an iOS and Android smart phone appp. 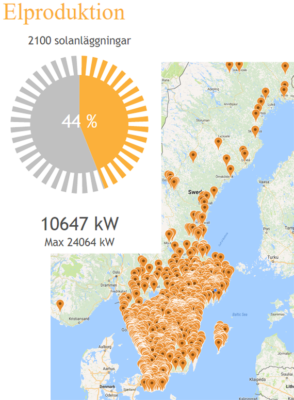 The EnergyInBalance Solar app also aggregates the total ongoing production from all available installations in Sweden and displays it in realtime to the users. Together with Swedish Computer Society CNet gave a breakfast seminar on Innovation with Internet of Things. The seminar was well visited and also broadcasted over the web. The attendants were knowledgeable and there were lively discussions on how to integrate IoT into existing business systems to achieve process improvements.